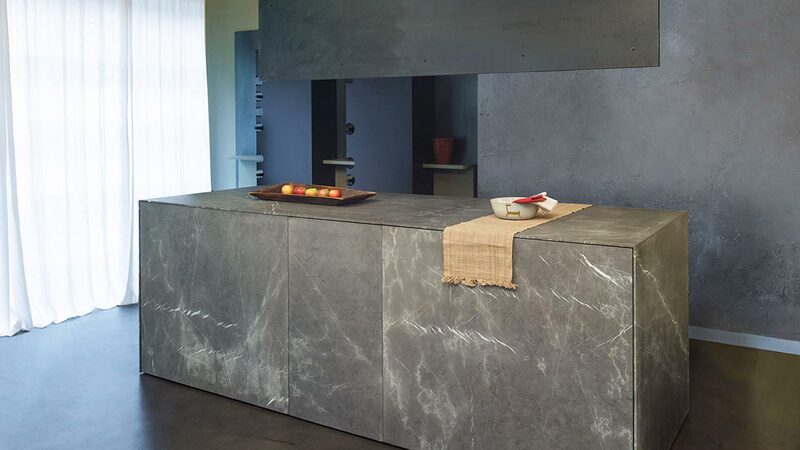 A fascinating set of features: this D90 freestanding kitchen island made from Corinthian stone forms a dynamic and innovative composition of volumes and thicknesses. 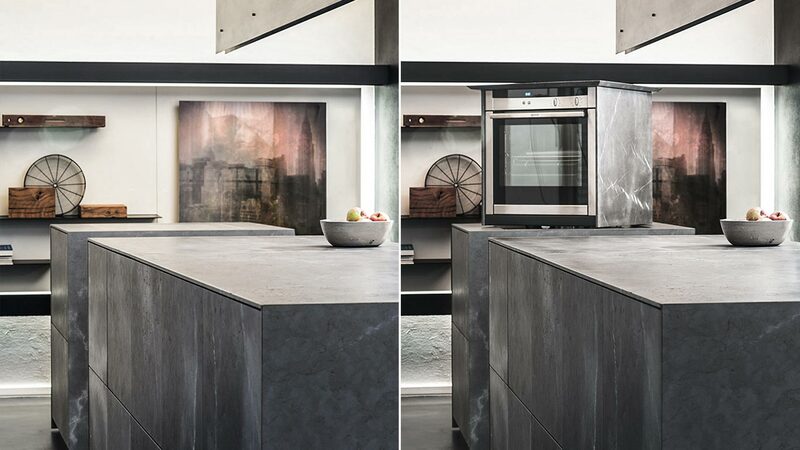 Two stone monoliths are transformed into a large functional island by means of sophisticated automation, which creates a unique line and unveils all the operational equipment. 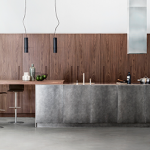 The bench tops slide laterally to produce a cantilevered dining area. 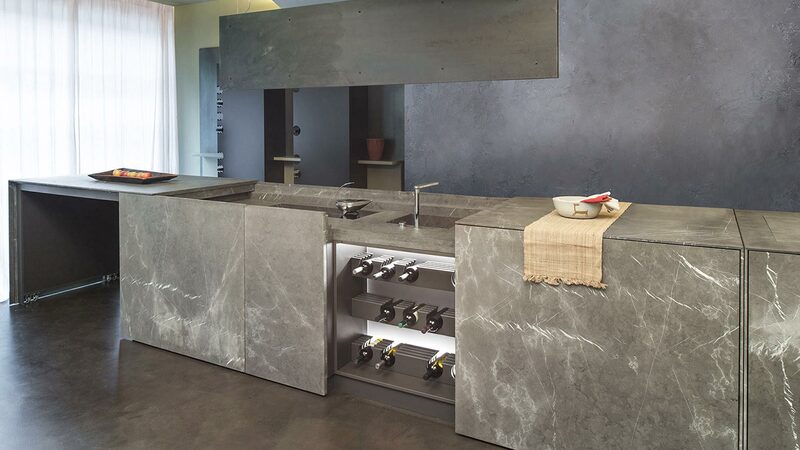 This reveals a stovetop and sink in the workbench and on the side, connecting to the other monolith, gives access to the illuminated and temperature-controlled wine cooler. 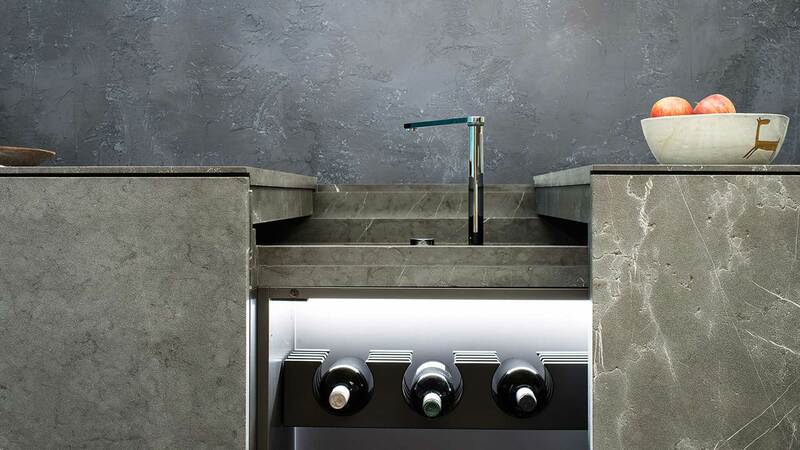 The internal fittings of the wine cooler have been built with a set of milled panels to hold the bottles. This customized detail creates continuity of style with the columns in the background. 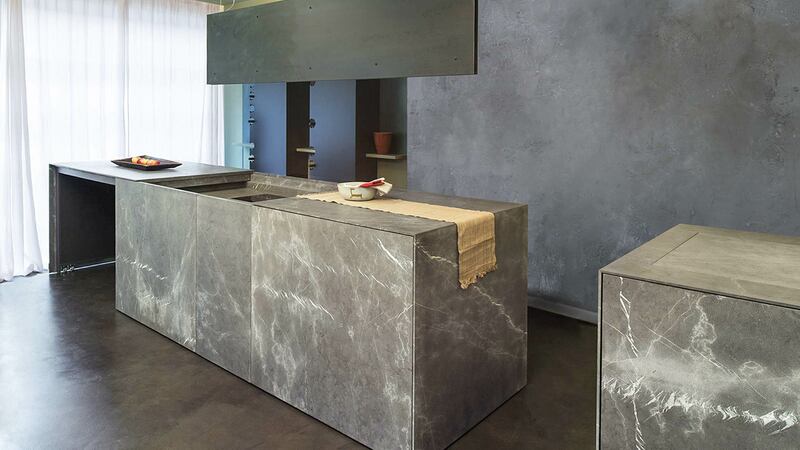 The second monolith houses the oven, which can be extracted vertically by means of a remotely controlled electrical system. When not in use, the oven aligns perfectly with the bench top. 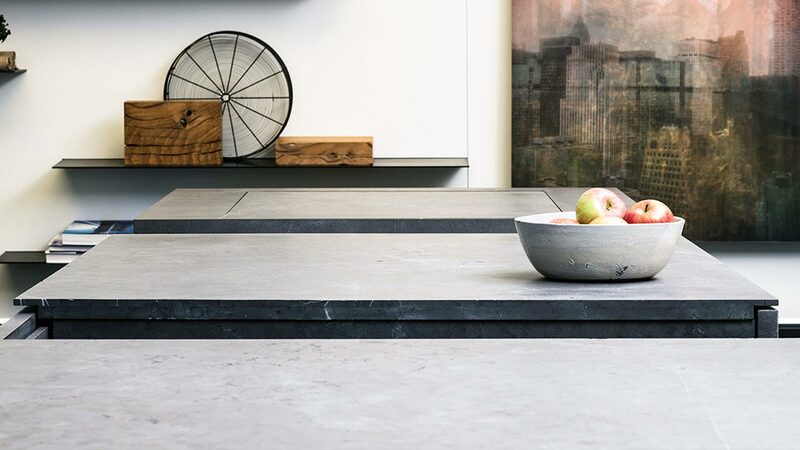 Skilful overlapping conceals the edge behind the doors, reducing the actual stone thickness of 4 centimeters to a perceived thickness of just 1 centimeter. Even the smallest details of this composition have been considered and its essence represents all the quality and elegance of TM Italia. This treasure chest is safeguarded in the Living Design Studio in Parma.